Near the Böllenbach towards Gundersheim there is a lodge where you can rest and grill. It is conveniently located next to the cycle track, which leads from Alzey to Worms. 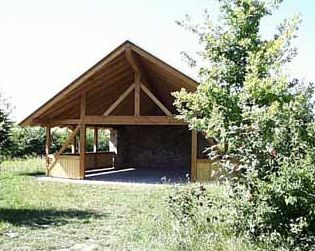 The lodge is surrounded by a spacious open-air ground, which is well suited for having a barbecue.